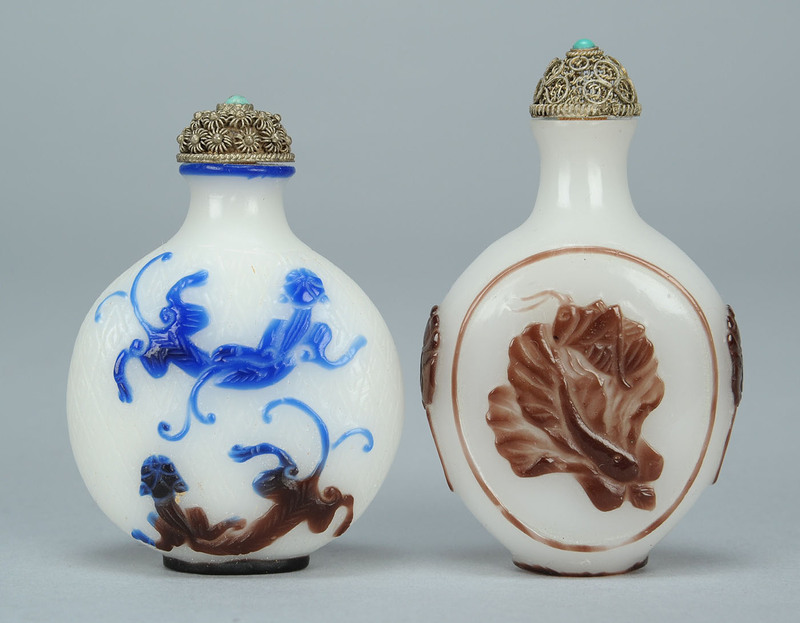 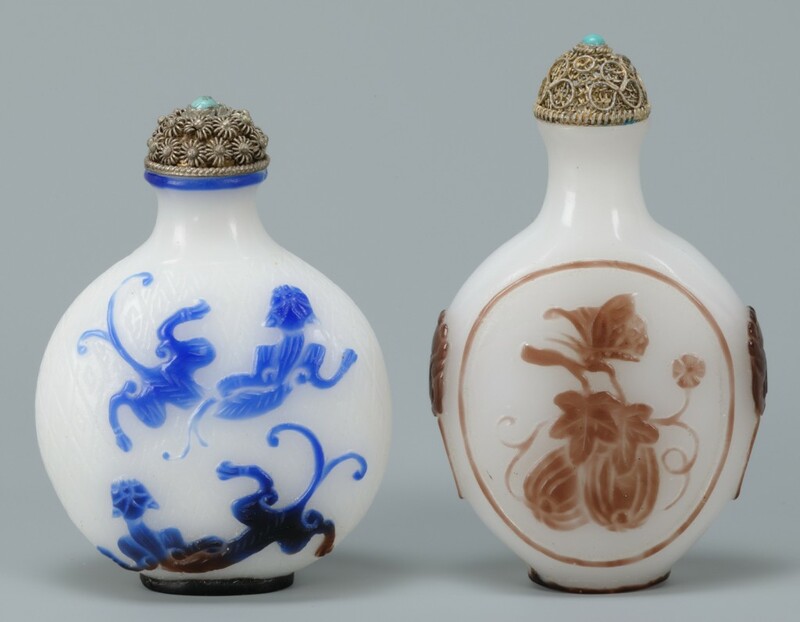 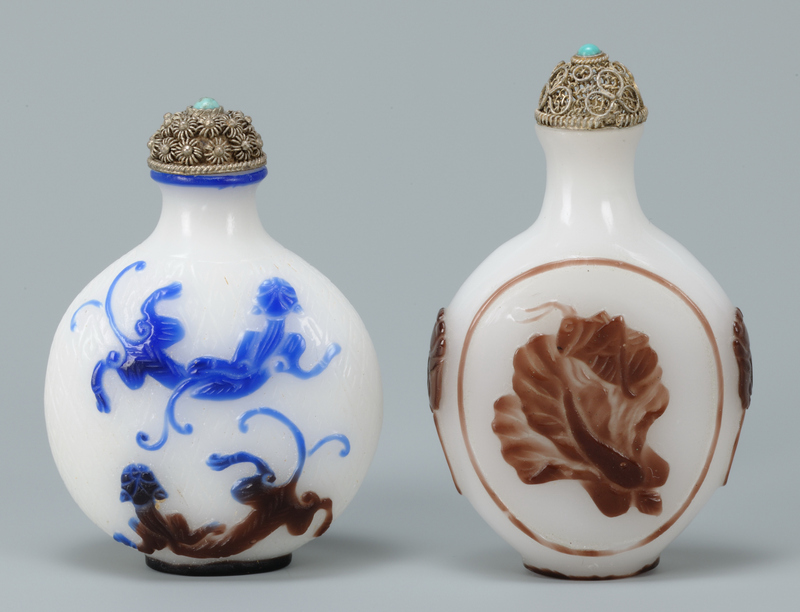 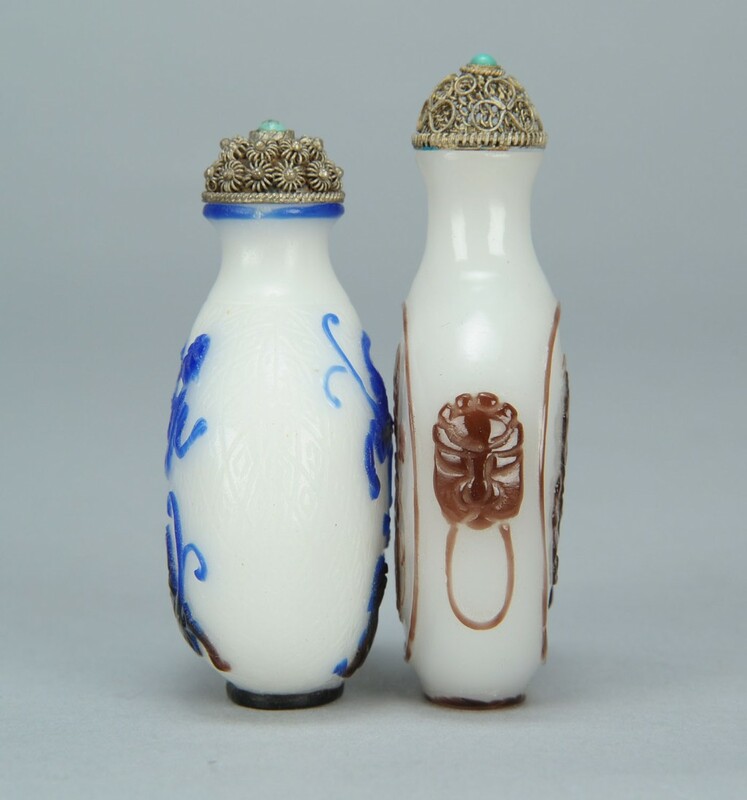 Two Peking glass snuff bottles. 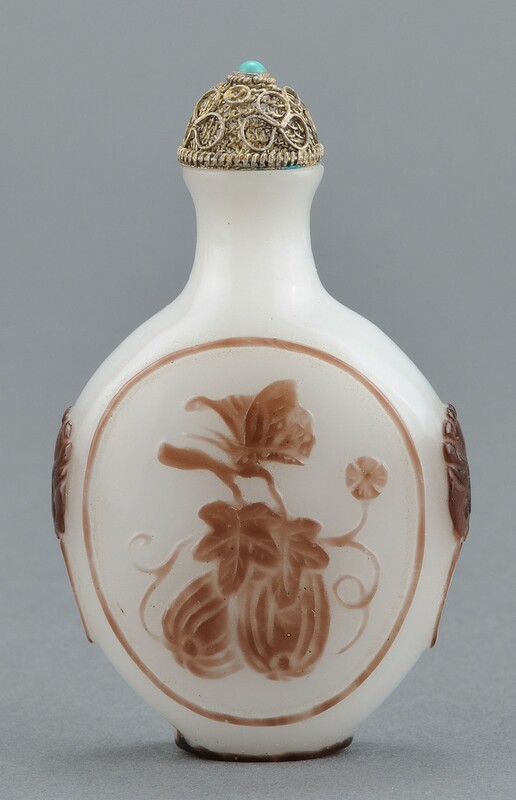 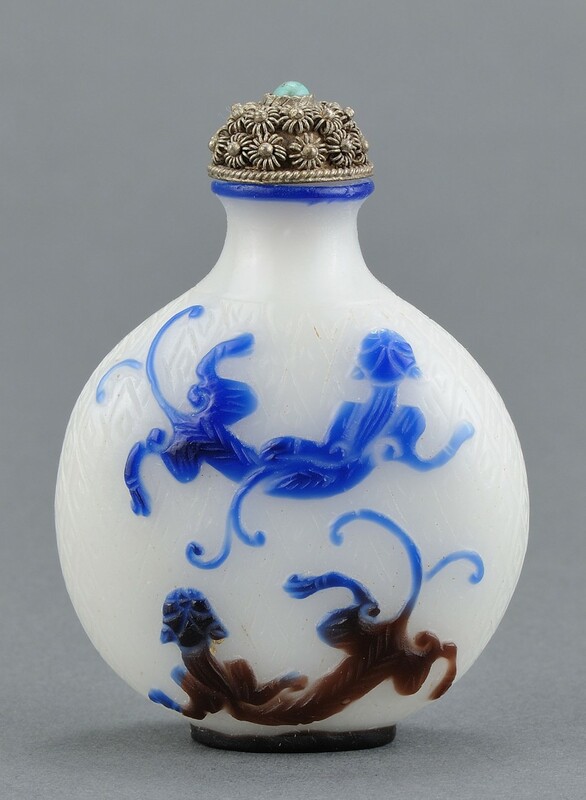 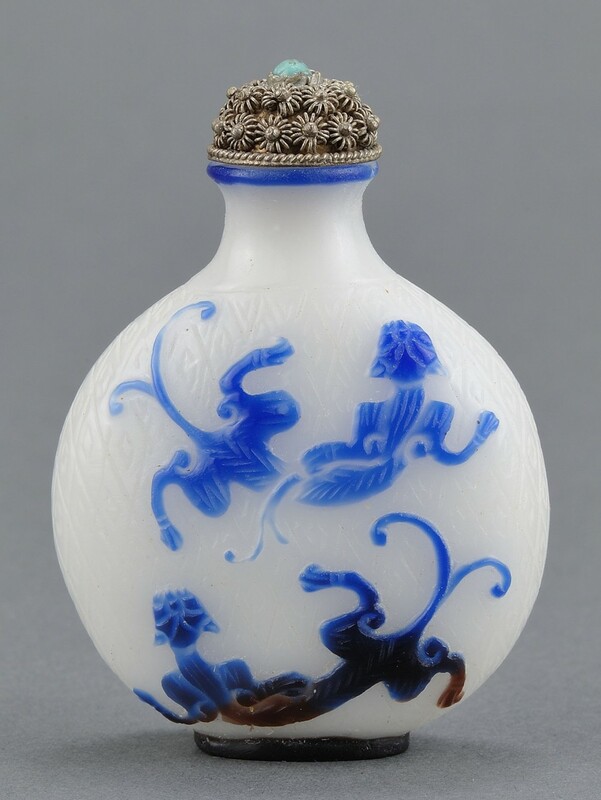 1st item – Blue and white Peking glass snuff bottle, round form, with dragon decoration on diamond pattern ground. Metal stopper with turquoise stone. 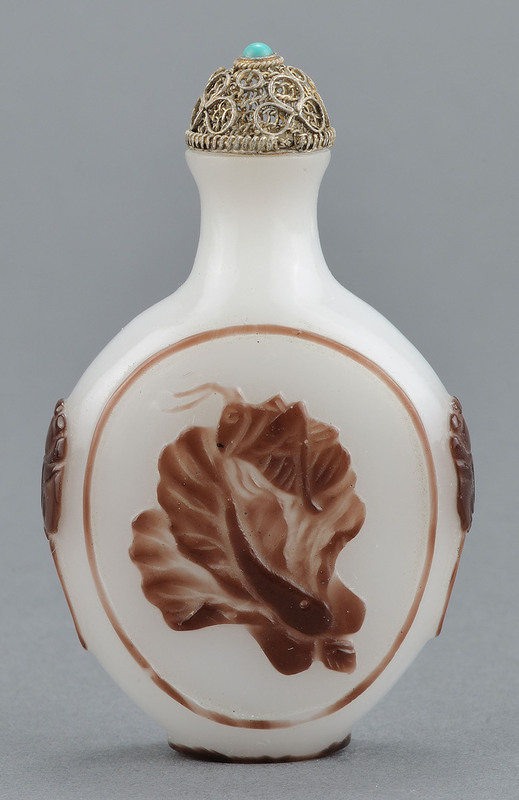 2 1/2" H. 2nd item – Purple and white snuff bottle, vase form, decorated with butterfly atop a melon on one side and grasshopper on cabbage leaves on reverse. 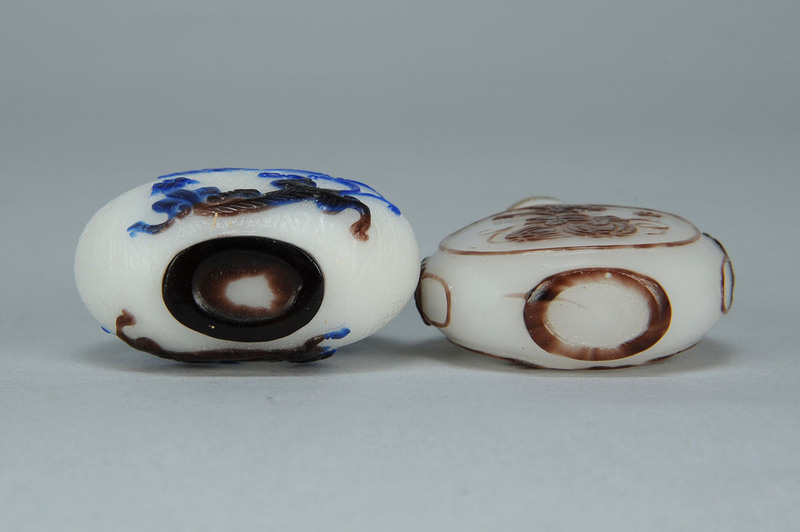 Dragon head handles. 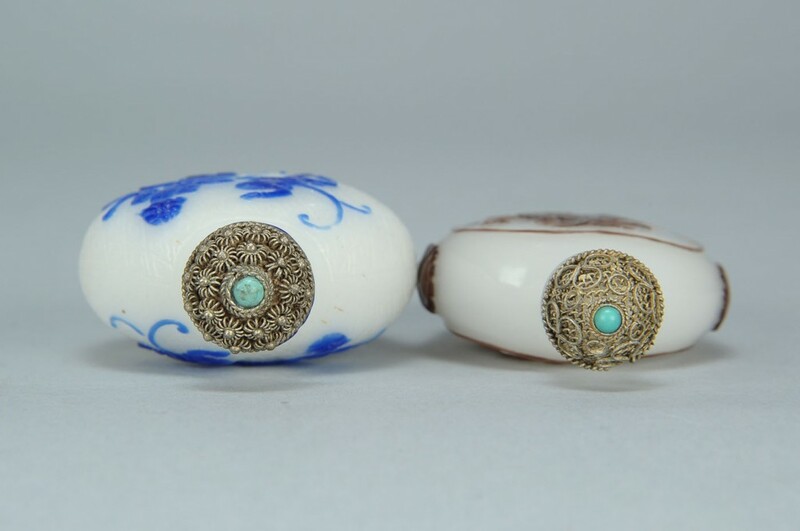 Metal stopper with turquoise stone. 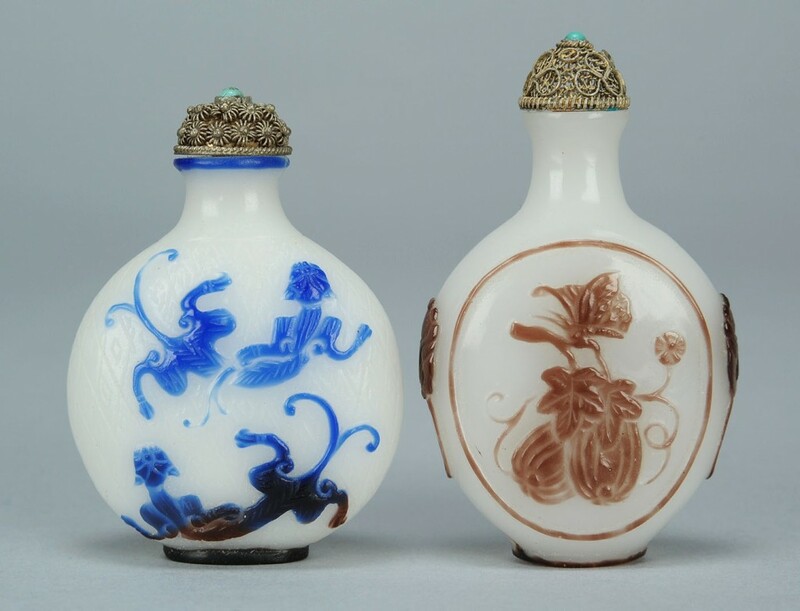 2 3/4" H. Condition: Both very good condition, possible firing flaw to base of purple and white snuff bottle.